Home » Website Building » Make Money Online » What is Affiliate Marketing? Affiliate programs are the bridge between seller and buyer to benefit both the parties by means of another interested third party. It is obvious that all sellers need marketing partners to promote their products. Affiliate companies establish a platform for sellers to find out interested marketing partners. With millions of people looking to monetize their online content there are millions of affiliate partner sites offering advertising campaigns. Advertisers and publishers both register with the affiliate companies. Advertisers (product owners) create their campaigns with the required rules such as a purchase is required for payment. Publishers (affiliate partners) get the required ad code and display it in their sites. When a user clicks the ad and completes the action such as a purchase, the commission will get credited to the publishers account available with the affiliate company. Affiliate company periodically pays out to the publishers once the minimum required payment threshold is reached. Is it a Scam or Legitimate – How to Choose an Affiliate Company? This is million-dollar question and there is no single answer to it. Most of the companies start to get good impression by regularly paying out the commissions before they got disappeared from the field with publisher’s money. It is even really hard to find about the advertisers status when such companies are closed. Reading the reviews would not help much since all those reviews will be from publisher’s who were disqualified due to some reason which could also be a legitimate reason. 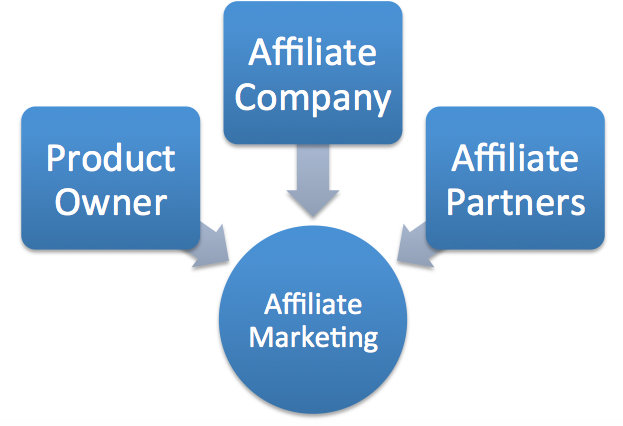 There are two simple rules to get an overall idea of the legitimacy of an affiliate company. Domain age – indicates how long the company exists. Alexa rank – an indication of popularity of the company among online community. You can consider putting your efforts in a company existing for at least for the past 10 years with Alexa raking within few thousands. This is another confusion among people looking for making money online with their websites. The confusion arises because most affiliate companies also offer pay per click ads without the need of completing an action. In theory, affiliate marketing means the publisher should get the commission when a user clicks an ad and complete some action on the advertiser’s site. For example, it could be an eBook download, form submission, completion of a survey or buying a product. The action may be a free or paid one depending upon the advertiser’s need. Amazon affiliates is one of the best example of affiliate programs. In contrast, PPC has a clear definition of payment for a user click and publishers no need to worry what exactly the users are doing on advertiser’s site. Google AdSense is a best example of PPC program.